Nicolai Muller has emerged as a surprise target for West Ham in the winter transfer window. According to the football transfer rumours in British and German media, West Ham will look to sign Hamburg winger Nicolai Muller. The Germany international joined Hamburg from Mainz 05 for a fee in the region of 4.7 million euros in August 2014. The 30-year-old has a valid contract with Hamburg until June 2018. Muller has played 87 times for Hamburg since signing from Mainz 05, scoring 17 goals and creating 16 assists in that time. As a member of Germany national football team, Nicolai Muller won two caps. 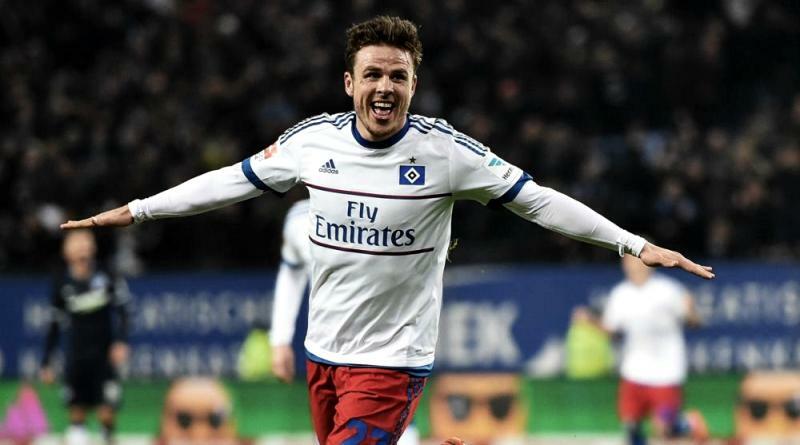 The winger has just seven months remaining on his contract and Hamburg may consider a deal in this transfer window to avoid losing him for nothing next winter. David Moyes is looking to shore up his attacking options and Muller happens to be a target. West Ham will be desperate to make an impact in winter transfer window. The Germany international is a player who has impressed many European clubs in the last few seasons, and it is understood that West Ham manager David Moyes would prefer playing him as a winger. The 30-year-old is certainly a player that would strengthen the current West Ham squad and would be a good buy in January. According to the reports, the Germany international suffered an anterior cruciate ligament injury during the first game of the season and is short of fitness. West Ham Unired have been handed a boost in the race to sign Nicolai Muller after Hamburg decided against offering him a contract extension. Hamburg are looking to sell the German for somewhere in the region of 8-10 million euros, due to their financial difficulties. This could tempt West Ham United to make approaches during the new year. Nicolai Muller is also being watched by Southampton, Schalke and Wolfsburg. It will be interesting to see what happens when West Ham come calling for Muller in January.